5509 John F. Kennedy Blvd. 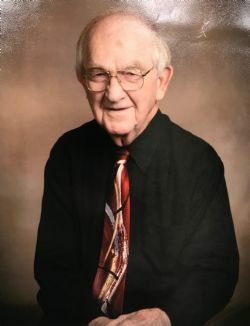 Robert A. Easley, 84, of North Little Rock, died Thursday, April 11, 2019. He was born July 24, 1934 to the late Arthur and Ruth (Worlow) Easley in Cash. He is also preceded in death by his son, Jefferey Easley; brother, Jim Easley; sisters, Wanda Fisackerly, Pat Barker; and half-sister, Geneva Collins. Robert is survived by his wife, Mary E. (Robertson) Easley; brother, Bill Easley of Jonesboro; and multiple nieces, nephews and friends. Funeral Services will be held 2:00 PM on Monday, April 15, 2019 at Roller-Owens Funeral Home, 5509 John F. Kennedy Blvd, North Little Rock, AR 72116. Burial to follow at Rest Hills Memorial Park. Visitation will be one hour prior to service.